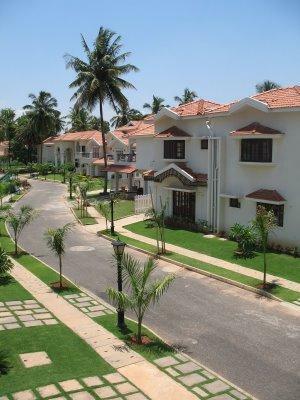 Whitefield in Bangalore is a quite interesting and calm place for everyone. 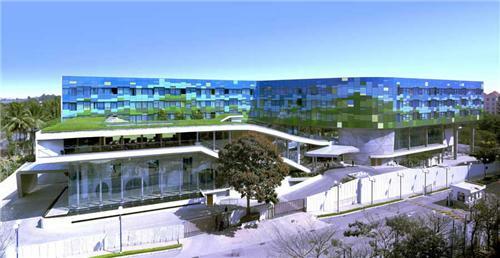 It is the place, where you will find a combination of European and Anglo-Indian sense and Indian culture. This unique blending of the eastern and western mindset has evolved into a new form. For this reason, you can choose Whitefield as your living place or business place with a modern outlook. Moreover, you will see that the living in Whitefield will bring a nostalgic reminiscence of the European and Anglo-Indian era. Since, this area is developed from a small village to the modern habitat. It is not happened in the quick succession. The development was started in 1882 with a positive mindset for the particular communities like European and Anglo-Indian. The development of Whitefield has witnessed in its area after 1990s Indian reform initiative when a lot of IT companies as well as the electronics companies was started to build their home in Bangalore. After that the corridors for the industrial development and residential pullover has taken its shapes as the times passes by. Since, its vicinity to the Bangalore city, Whitefield has an extra advantage for getting the opportunity to use the excellent infrastructure of a city like Bangalore as well. The development was highly appreciable and effective in their vicinity as well. When Whitefield started its journey for the new frontier, then on its ways, it tried to pollinate the local ethics with the national pride as well. Therefore, it gives the unique perspective to its contemporaries. The vision of Whitefield goes through the innovative ways, which brings the unique blend of the local and national heritage. Therefore, it designated itself as a new destination for living and opportunity. For this context, a lot of companies and the residential complexes have been developed in this area. Logically speaking, the people of Whitefield accepted the modern opportunities and the transparent Government policy for its development. Therefore, Whitefield Bangalore has grabbed the extra advantages, which the other cities have been deprived. The residents of Whitefield Bangalore has a unique sense of cultural and heritage. They accepted all modern norms with a smile as well. Therefore, the business has felt the enormous growth in this region. Even, you will able to look at its new formation in Whitefield. As far as the telecom circle is concerned, there are some big wigs housed in Whitefield area. Some prominent names are BSNL, Reliance, Tulip and United. They are best in their own class. As far as the infrastructure of Whitefield is concerned, you will get the suitable services from it. The reason is that the total participation in every sector of the business and residential facilities has bolstered its influence in the Bangalore and it's surrounding. Moreover, Whitefield Bangalore is divided in two circles. One is inner circle and another is outer circle. In the inner circle, you will find the residential complexes and the religious places and in the outer circle, you will find the business communities and companies. Since, the inception of Whitefield in the Bangalore region, the area has earned a good reputation as the business hub and the high standard of living as well.